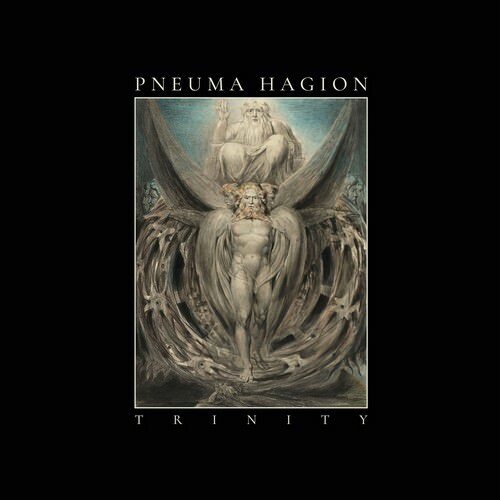 Pneuma Hagion first introduced itself to the metal underworld with the 2015 release of its debut demo, “Trinity I,” which was made available on cassette by Nuclear War Now! Since then, the band has gone on to produce two additional demos in the same series, aptly titled “Trinity II” and “Trinity III,” which were also followed by two split EPs and the 2017 EP, “Rituals of Extinction.” However, to this point the band has yet to receive the wider acknowledgement that it deserves, which is likely due in part to the fact that each of these five latter releases has only been made available until now on digital format. Nonetheless, NWN! has continued to recognize the band’s merits and thus hopes to encourage the same respect from a greater audience with this LP release of “Trinity,” a collection of all three demos in the aforementioned series along with the “Rituals of Extinction” EP tracks. Pneuma Hagion is the brainchild of its sole creator, known simply and obscurely as R. This void of identity is an appropriate reflection of the themes explored in his music, which are related quite closely in philosophy to the Gnostic tradition of primitive Christianity in that they presuppose a Spirit as being ontologically prior, and thus superior, to the incarnate life that ensnares and imprisons it. Despite this parallel, the ideology behind the music does not imply adherence to any religious dogma, but instead it serves as a metaphor representing the artist himself being trapped in a body governed by a defective mind. 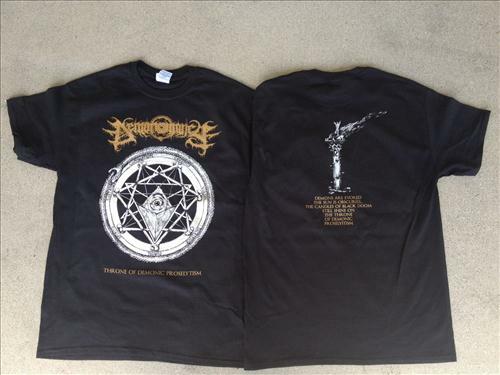 The music itself is a variety of bleak, down-tuned, doom-ridden death metal that is not unlike the type most famously espoused by bands like Immolation and Incantation, with a particular resemblance to the latter’s “Mortal Throne of Nazarene” in its sepulchral aura. 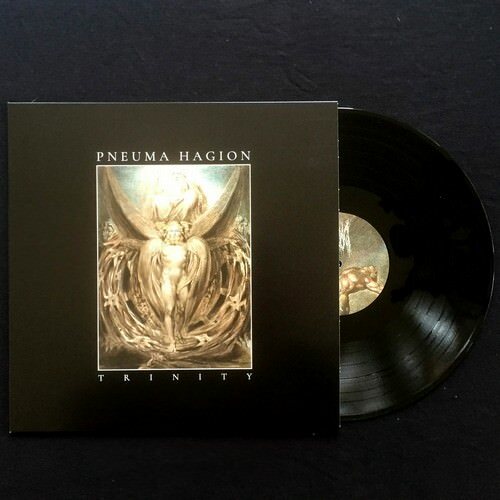 However, less frequently than even this funereal opus, Pneuma Hagion’s compositions only rarely venture outside of the lowest octaves produced by a guitar, bass, and human voice. The guitar and bass cycle from one abyssal riff to the next, conjugated by the predominately mid-tempo percussion and only occasionally accented by an abrasive pick slide or guitar solo, as in the collection’s final track, “The Fate of All Beasts.” The moribund vocals are delivered throughout with an agonized, groaning glottal whisper that narrates the futile struggle of the tortured soul desperately trying to escape the confines of its animated corpse. 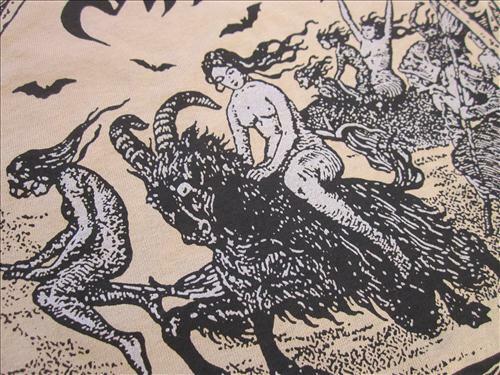 The account of this strife is accompanied in the layout by the visual art of William Blake, whose own Gnostic tendencies are an appropriate match for the music’s treatise of corporeal despair. “Trinity” thus laments the hopelessness of the human condition which results from its own fundamental flaw of being an empty vessel that inhibits the true emergence of self.